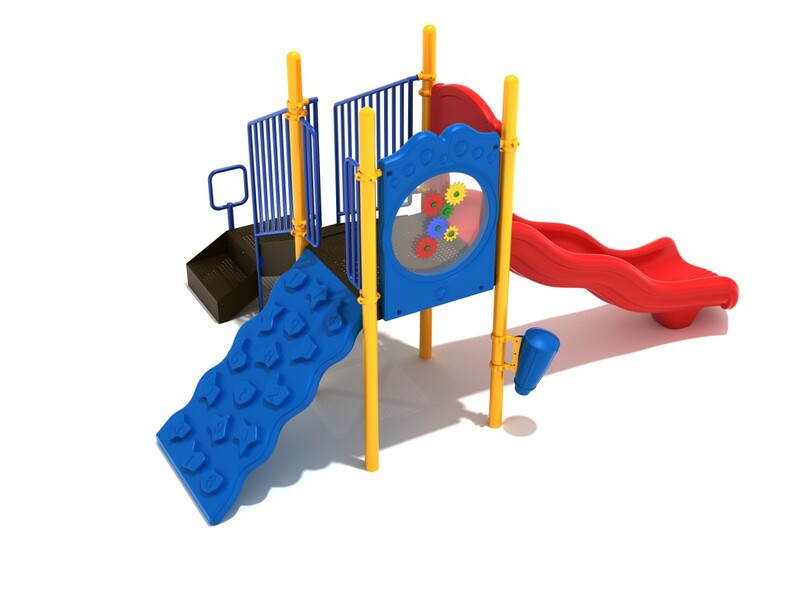 Perfectly designed for smaller areas, the Bismarck playground structure does not compromise on fun! 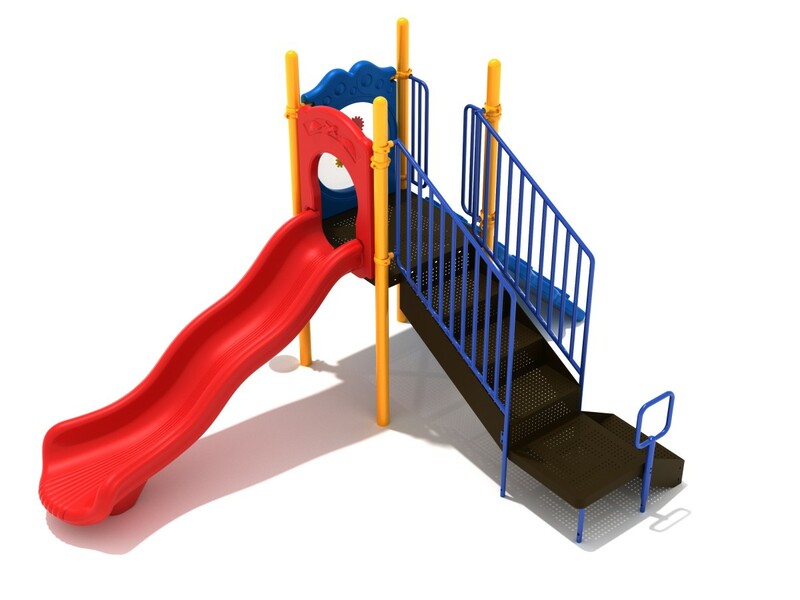 A straight slide is the main highlight of the structure as it leads from the deck back to the ground. 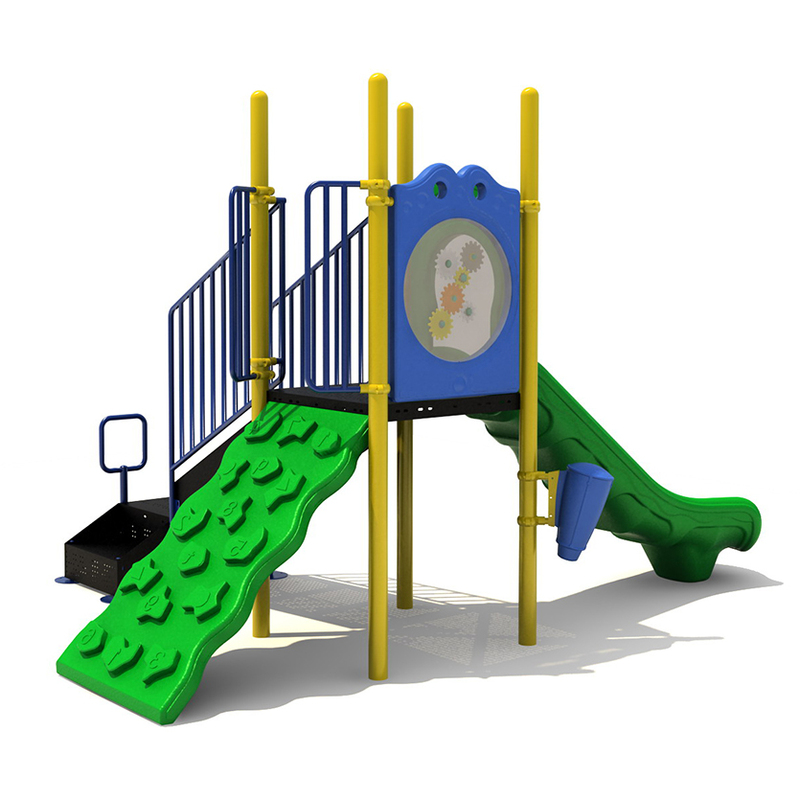 Perfectly designed for smaller areas, the Bismarck playground structure does not compromise on fun! 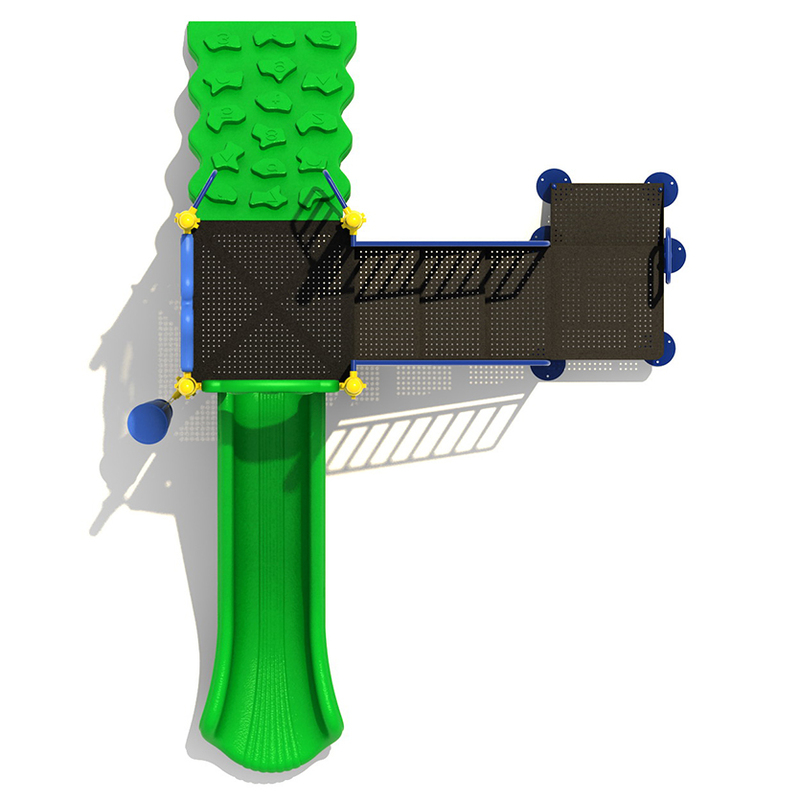 A straight slide is the main highlight of the structure as it leads from the deck back to the ground. 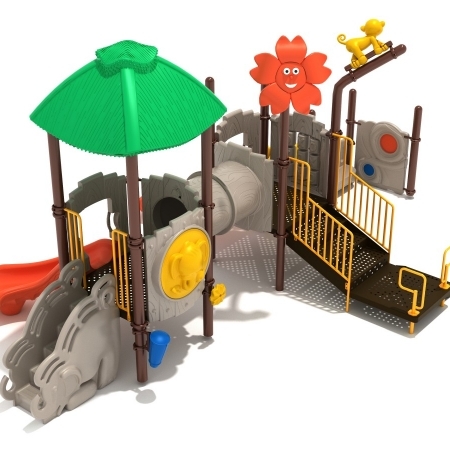 A number climber not only provides a physical challenge, but a mental challenge as kids can learn about numbers while they play. 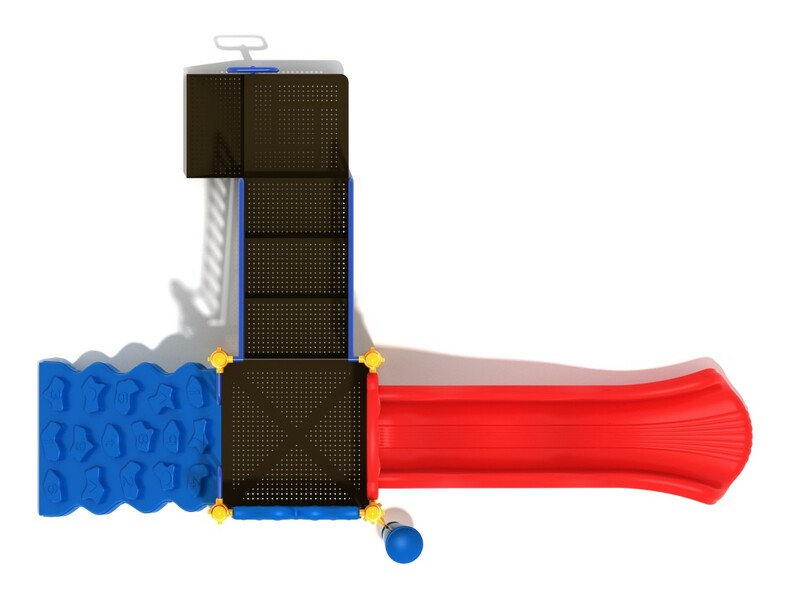 A gear panel is also included on the deck for another way to play. A single drum can be found post-mounted at the ground level. Children will love creating their own songs and beats with this fun drum. 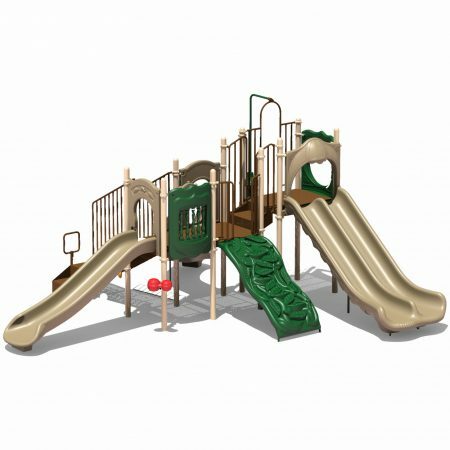 A transfer station can also be found on the Bismarck play structure. 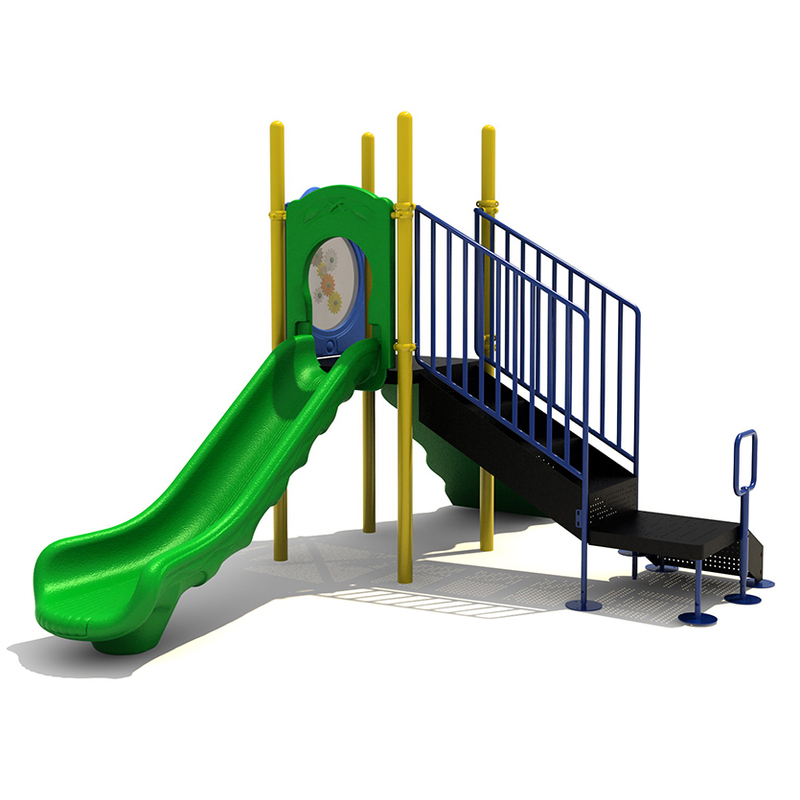 This unit is ADA compliant and intended for the 2 to 12 year age range. 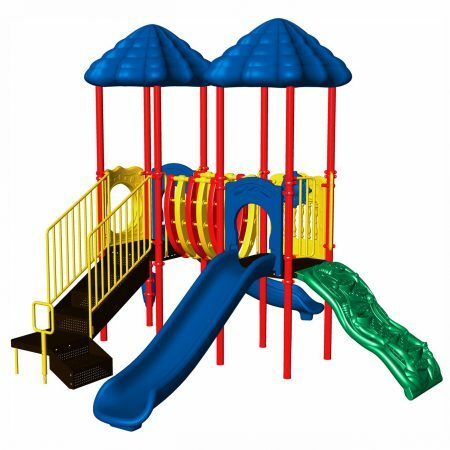 When purchasing a structure, do not forget to consider what you will use for safety surfacing. 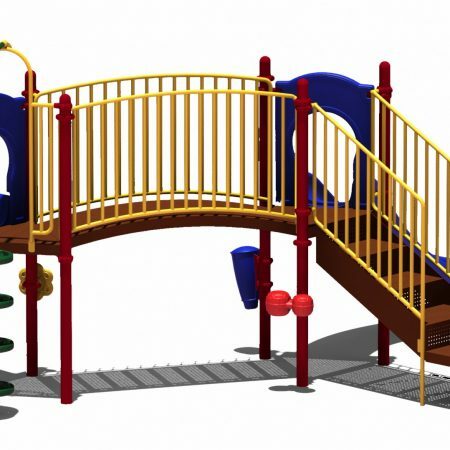 Loose-fill surfaces like rubber mulch or a poured rubber surface are safest and will help prevent injuries on the playground.